Over the years, I’ve received numerous calls about life insurance but I’ve never taken it out. I based my decision on the fact that my income was far too insignificant for it to make a difference if something were to happen to me; I work part-time and am at home looking after my children. I was sure that my husband’s income would be sufficient to cover costs. I was wrong and I was looking at it the wrong way. While chatting to some women about life insurance benefits, their comments completely changed my perspective. So many responded with, “Life insurance will help pay for someone to do the stuff I do around the house and with the kids.” One woman worked out that her husband would have to pay three people to do what she does plus cover her income. Why hadn’t I thought of my contributions that way? Why didn’t I put such value on my time? I learned one important thing; to value my contributions even though I’m not the main breadwinner. I’m probably not the only woman to devalue myself; we need to start seeing raising a family and running a household as a job, that’s for sure. But how do we quantify the value of mothers? This article published on Business Insider Australia shares some interesting figures and works out how much it would cost if someone else did our job of running a household. Stats in the article estimate that it would cost $113,586 USD a year to replace a stay-at-home mum, based on a 94 hour workweek and doing the 10 most time-consuming tasks. This figure was published in 2013 so it’s is likely to be much higher now. For mums like me who work part-time, you do the math, it’ll still cost a truckload to replace us too. It’s in knowing and appreciating my value that has lead me to seriously consider life insurance. 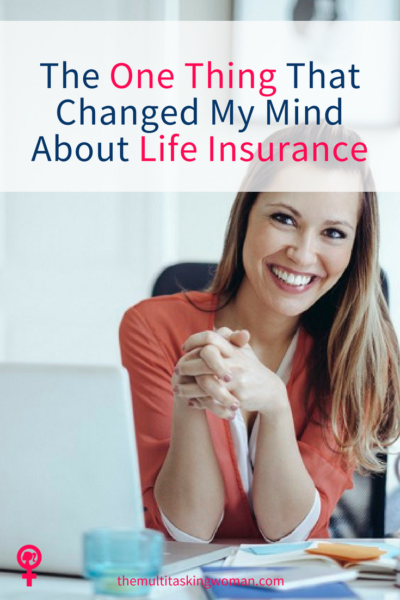 But, the most important thing to come of this is the life insurance benefits, the fact that I’m doing something for my husband and children that I would have not otherwise done if my perspective hadn’t changed. I will have peace of mind knowing that my family can live comfortably without financial strain or worry when I’m no longer here. Even though this article is sponsored by Noble Oak, during my research about life insurance, a friend recommended Noble Oak without knowing. She said they are good quality, both in their conditions and their premiums. I’m all for using products and services that come recommended by friends and family and so I went to Noble Oak’s website and requested a quote for life insurance. The online quoting system is easy to use and very quick. It gives an estimate in less than 30 seconds and then, within the hour, I received a phone call from a guy who was helpful and easy to talk to. He helped give me a more accurate quote based on my circumstances and we have another phone call scheduled at a time convenient for me to finalise things. The last time I did this a year ago, I felt nervous. This time I feel completely confident in why life insurance is the right option for me. So, if you’re a woman who has always questioned, ‘Is life insurance worth it’? because you’re not the main breadwinner, I hope that this article may help you realise your worth, life insurance or not.